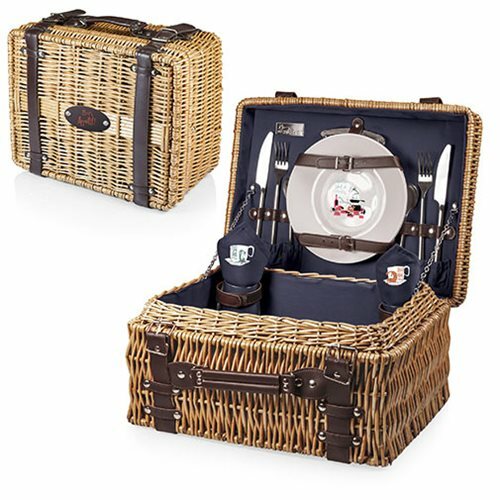 The Ratatouille Champion Picnic Basket has deluxe service for two, including two wine glasses, two porcelain plates, stainless steel flatware, and two napkins that match the basket's navy interior. 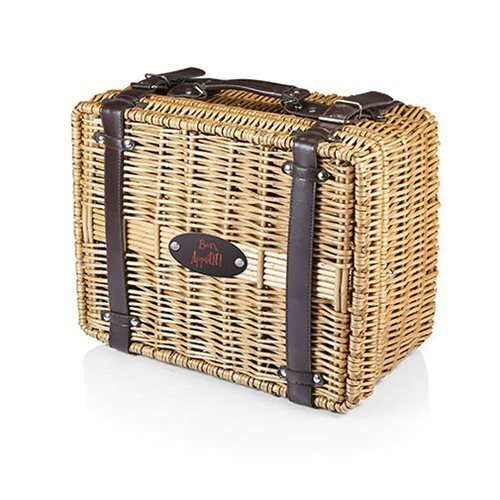 Made of willow with dark brown leatherette accents, it has full-wrapping closure straps, an overlapping lid, and sturdy suitcase-style leatherette handle. Measures 16-inches long x 12-inches wide x 8-inches tall.